Alveda King Denounces The NAACP - Joe.My.God. “Neither my great-grandfather, an NAACP founder, my grandfather Dr. Martin Luther King, Sr. an NAACP leader, my father Rev. A. D. Williams King, nor my uncle Dr. Martin Luther King, Jr. embraced the homosexual agenda that the current NAACP is attempting to label as a civil rights agenda. 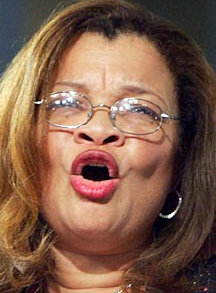 In the 21st Century, the anti-traditional marriage community is in league with the anti-life community, and together with the NAACP and other sympathizers, they are seeking a world where homosexual marriage and abortion will supposedly set the captives free.” – Alveda King, in a press release published by Christian Newswire.